I must say that I’ve found the entire trip fascinating, I was really astonished by the good weather, the rich background the wonderful beaches and gulfs and the vast number of islands. The trip started with a good friend of mine who invited me to stay at his mothers house, where she lives and works near Athens. 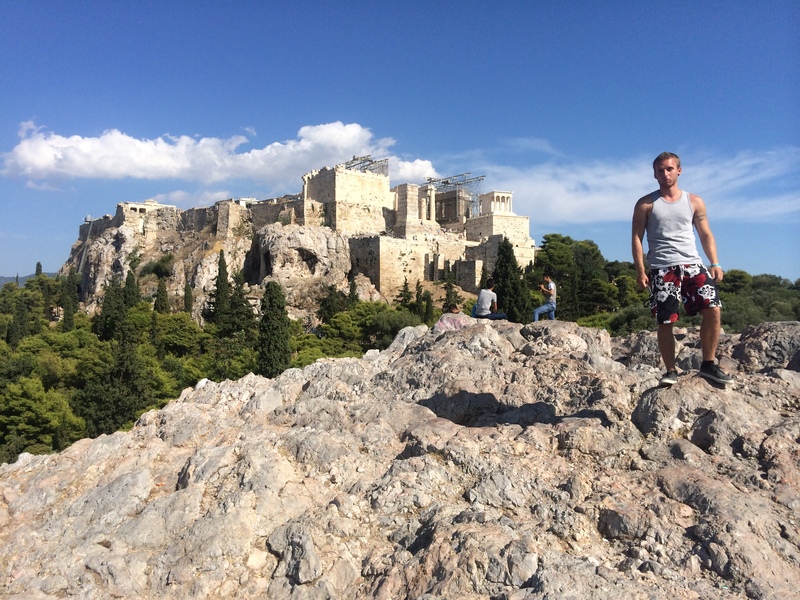 It is very obvious that when somebody goes to Athens, they start with the Acropolis. We are talking about a hilltop citadel which was inhabited for over four millenium BC. 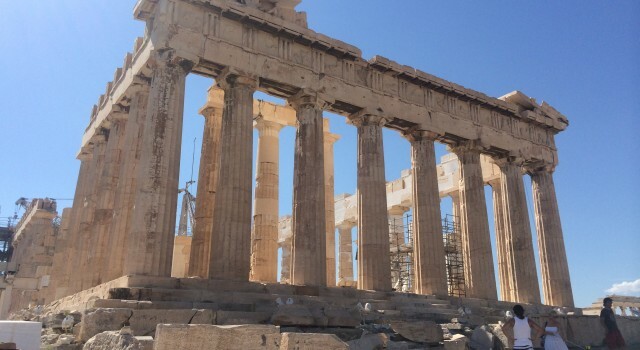 Despite that, the construction of today what we see was initiated by Pericles in the 5th century BC. The buildings were seriously damaged during the 17th century by the Venetians during the Morean War. The site contains many extraordinary ruins such as the Pantheon, Erechtheum, The Old Temple of Athena, Propylaea, Temple of Athena Nike. The entrance costs 12 Euro’s but for students it’s completely free. It has also one of the best views of the entire city, no matter which part you’re looking at. 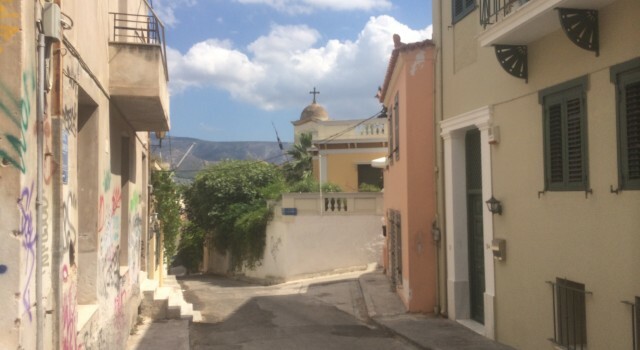 This place is the quintessential Greek neighborhood. 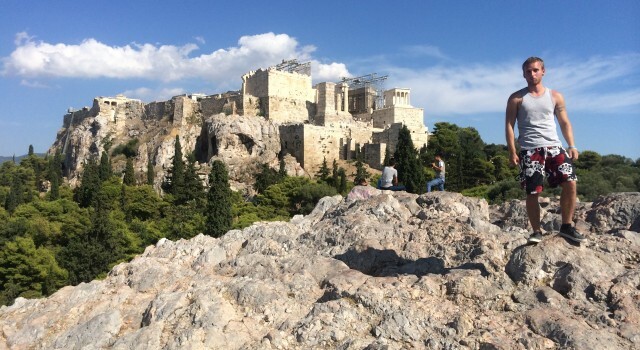 Nicknamed as the “Neighborhood of the Gods” because of the proximity to the Acropolis. It is famous for its Labyrinthine streets and for its beautiful, pleasant and white neoclassical buildings. The place is also known for its excellent restaurants or so called “Tavernas” and bars. 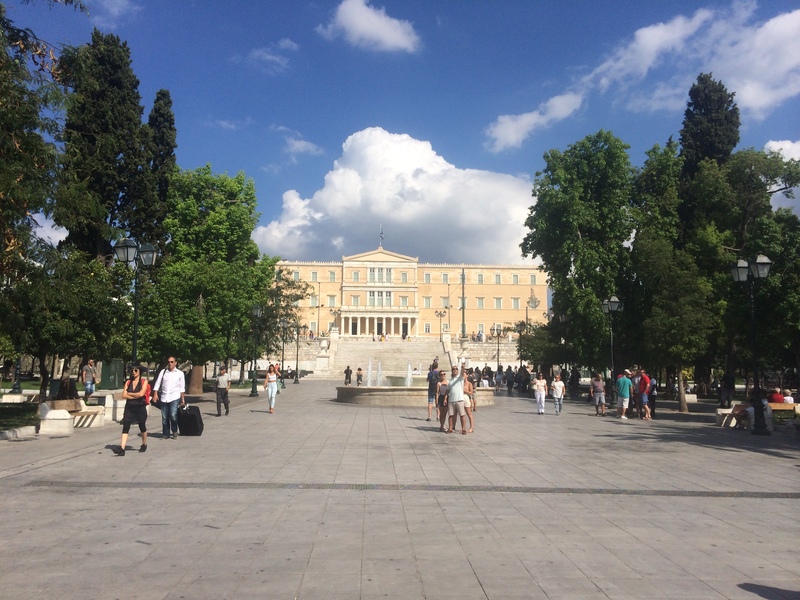 This is the central square of Athens and a popular meeting point for both tourists and locals alike. 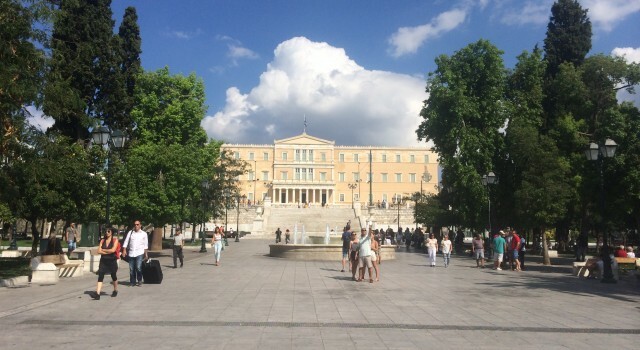 The Old 19th century Royal Palace, which faces the entire square serves as the Greek Parliament since 1934. Many luxury shops, restaurants and other type of shops can also be found and it also has a nice park where people enjoy their time. 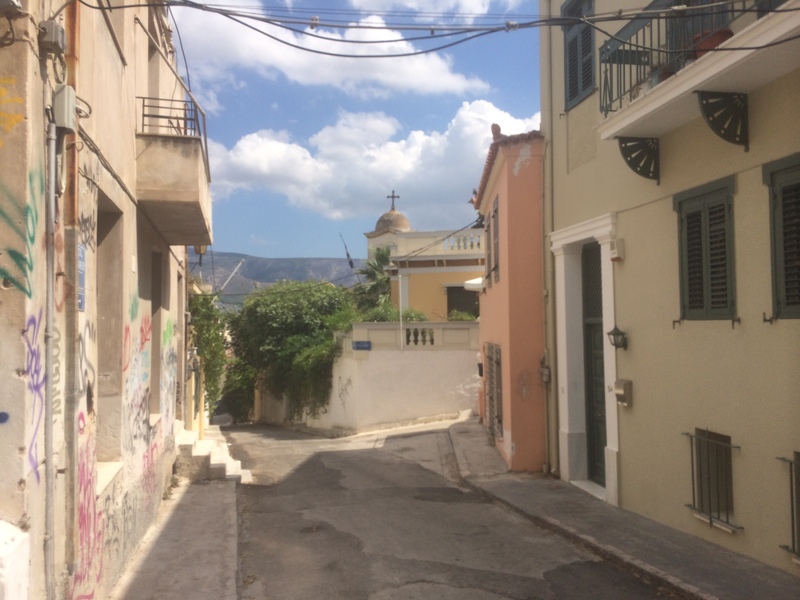 Walking to the Acropolis from here takes you about 20 minutes. This site is probably the best place for bargain hunting. 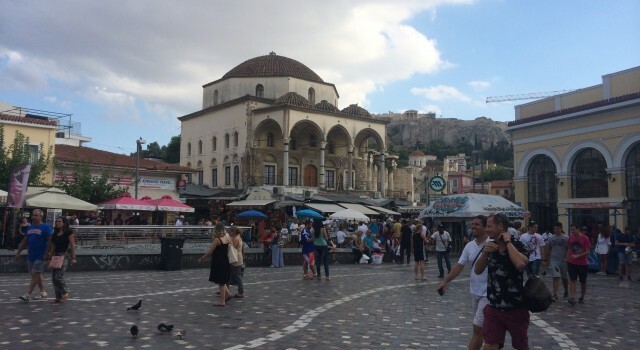 It is a square near the Acropolis known for being another popular meeting point. The square is also known for having the 10th century Church of the Pantanassa and the Ottoman Tzistarakis Mosque which was built in 1759. Nowadays the Mosque itself operates nowadays as a museum. An outstanding example of a Doric building that still stands much intact since its inception. 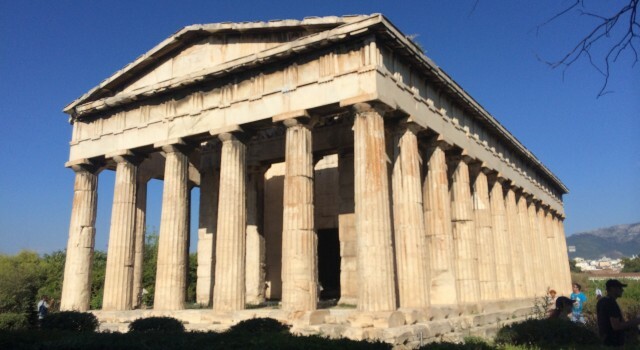 Initially a Classical Greek Temple, it was used from the 7th Century before Christ until 1834 as a Greek Orthodox church and was named St George Akamates. 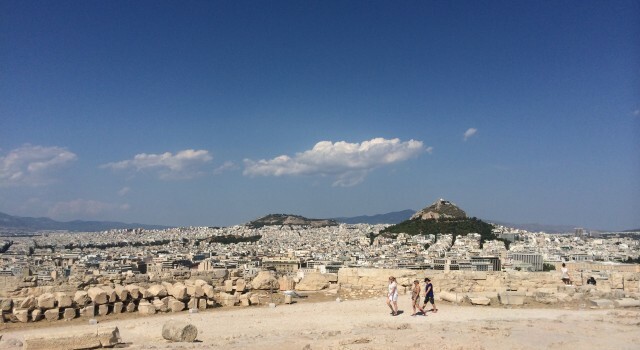 This one of my personal favorite sites in Athens. 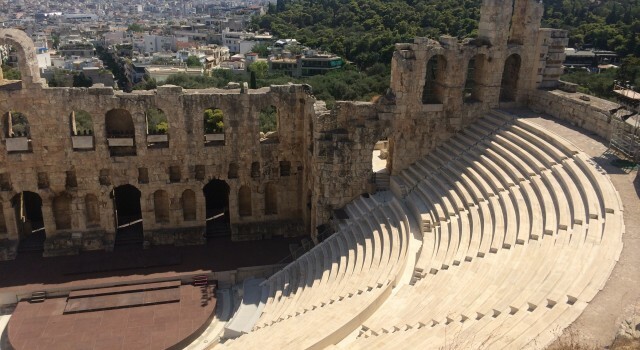 It is a marvelous stone theater that was established in 161 AD by Herodes Atticus himself and it was used as a venue for music and housed more than 5.000 people during the events. 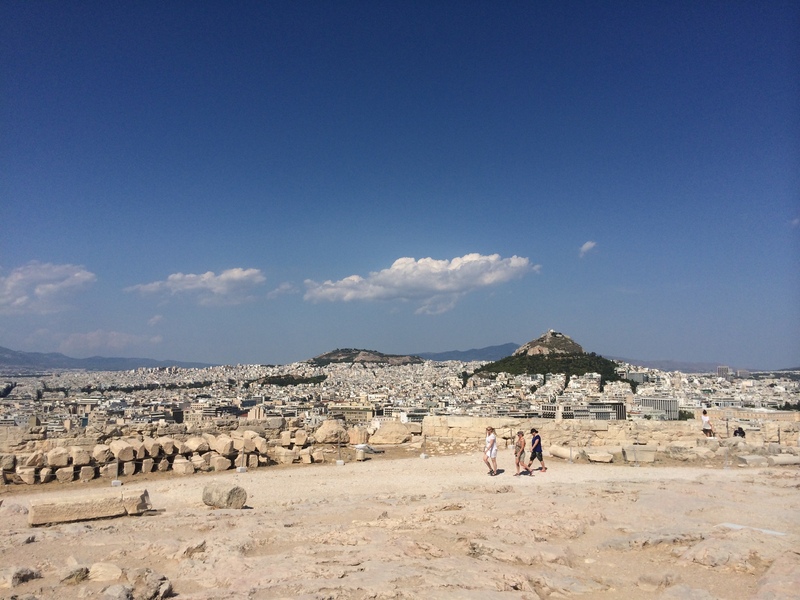 I took the pic from the Acropolis. 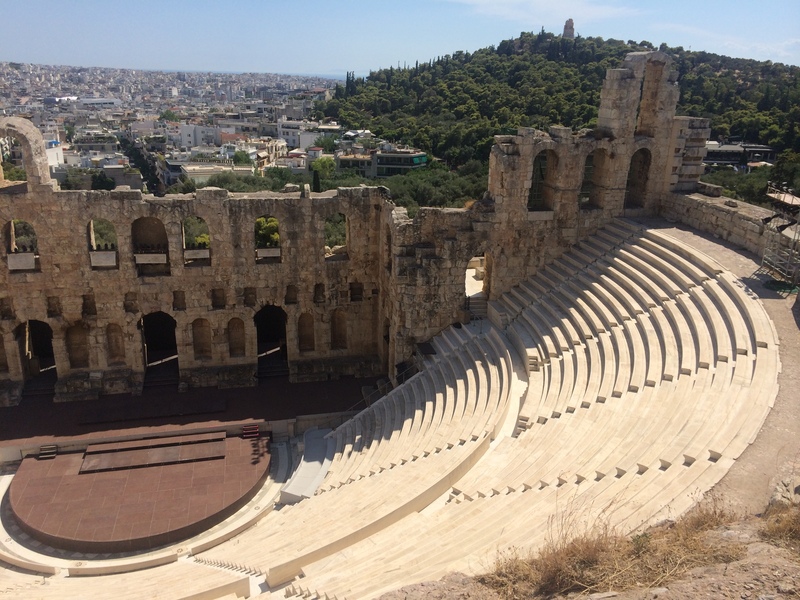 The place still serves as venues for concerts, both Greek and international alike. The city is relatively expensive, although if you look more carefully you can find many things cheap, and also you can negotiate, particularly at bazaars. 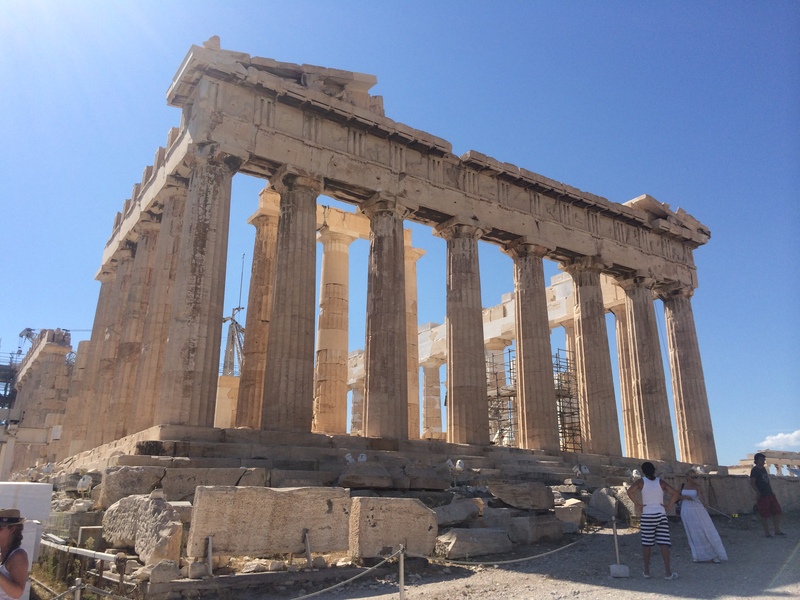 Besides for its classical architecture, Athens also features many Roman, Byzantine and Ottoman architecture. 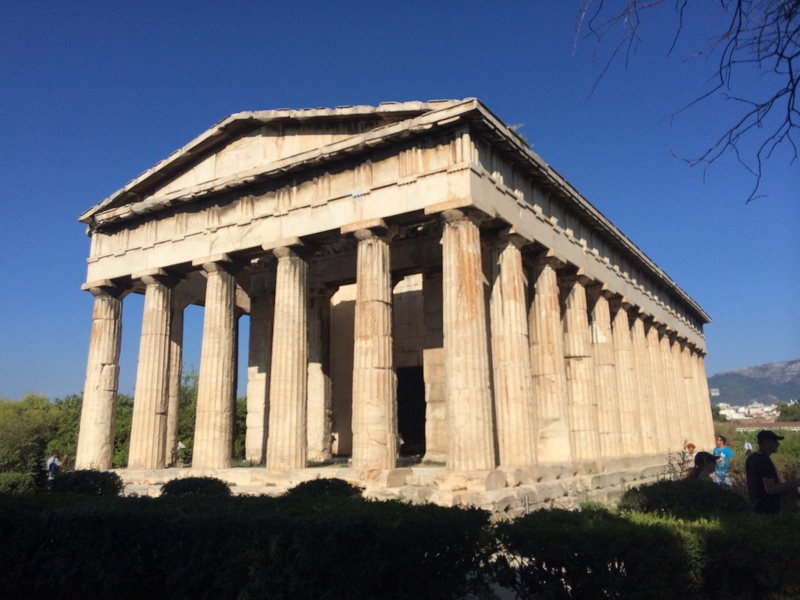 Side trips that I would recommend from Athens that are not far are the following: Delphi, The Temple of Poseidon and the Corinth Canal. Greece is very accessible, so it wouldn’t be a problem when it comes to see a place outside of Athens, especially if its quite close. I strongly recommend the Taverna’s and the capital has many. The beaches of Athens are a bit commercial and it even costs you and I would advice to go outside of Athens if you want to enjoy free and more natural beaches. The city is very big and the Traffic can be quite a challenge, so you have to be careful if you are driving in the city. 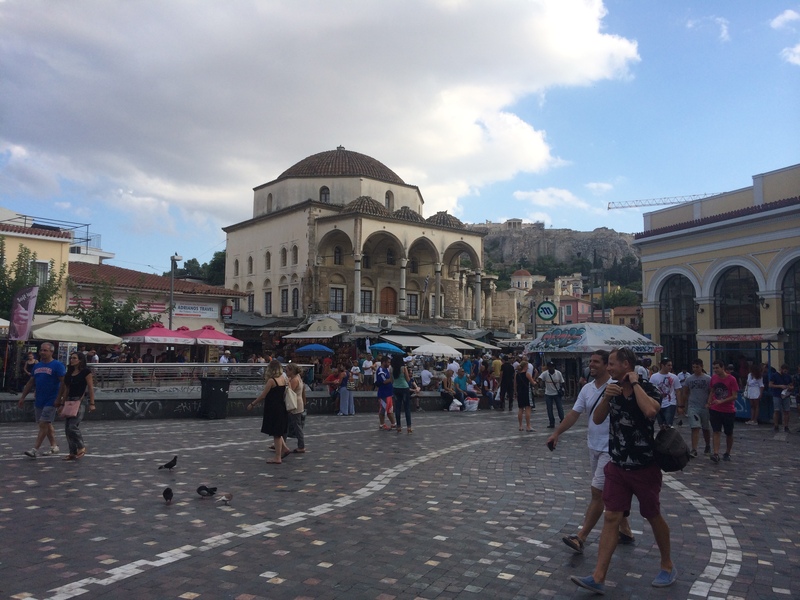 I personally consider the fact that Athens is an amazing city in its own way, I enjoyed its history, turbulence and food. I think it’s very modern city, having a developed metro and tram system so it’s quite easy to visit the city on foot. From the neighborhood of Piraeus which lies in Athens, you can take boat trips to most Greek Islands, particularly to the Aegean Islands which have more proximity to Athens. Islands like Idra, Spetses, Egina and Kea are the closest and you might want to check out them, cause each one of them is splendid in its own way. The fairs are not that expensive, depends on what kind of ferry you are traveling and to which island.